To find reviews, other places to visit, traveler tips, and tourist information, go to the Memphis trip planning tool . Salisbury to Memphis is an approximately 8-hour flight. You can also drive. You'll gain 1 hour traveling from Salisbury to Memphis due to the time zone difference. Traveling from Salisbury in August, things will get a bit warmer in Memphis: highs are around 90°F and lows about 73°F. Finish your sightseeing early on the 24th (Sat) so you can travel to Oklahoma City. You've now added Bricktown to your itinerary. To see other places to visit, ratings, maps, and more tourist information, you can read our Oklahoma City trip planner. Traveling by flight from Memphis to Oklahoma City takes 6.5 hours. Alternatively, you can drive; or do a combination of flight and bus. Expect a daytime high around 91°F in August, and nighttime lows around 69°F. Wrap up your sightseeing on the 25th (Sun) to allow time to drive to Amarillo. Your day-by-day itinerary now includes Palo Duro Jeep Tours at Elkins Ranch as well as Palo Duro Canyon State Park. On the 25th (Sun), delve into the distant past at Palo Duro Canyon State Park. To find photos, reviews, traveler tips, and other tourist information, read our Amarillo holiday maker website . You can drive from Oklahoma City to Amarillo in 4.5 hours. Alternatively, you can fly; or take a bus. August in Amarillo sees daily highs of 89°F and lows of 65°F at night. On the 26th (Mon), wrap the sightseeing up by early afternoon so you can travel to Cochiti Pueblo. You've now added Kasha-Katuwe Tent Rocks National Monument to your itinerary. Kick off your visit on the 27th (Tue): take in the dramatic natural features at Kasha-Katuwe Tent Rocks National Monument. Planning Cochiti Pueblo trip won't be overwheling when you use's Insprock itinerary maker. Getting from Amarillo to Cochiti Pueblo by car takes about 5 hours. Other options: fly. You'll gain 1 hour traveling from Amarillo to Cochiti Pueblo due to the time zone difference. Traveling from Amarillo in August, expect Cochiti Pueblo to be slightly colder, temps between 84°F and 57°F. Wrap up your sightseeing by early afternoon on the 27th (Tue) to allow enough time to travel to Page. 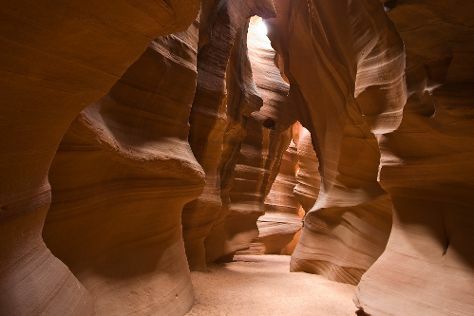 You've now added Antelope Canyon to your itinerary. For photos, where to stay, reviews, and more tourist information, go to the Page journey planning tool . You can drive from Cochiti Pueblo to Page in 7 hours. Another option is to fly. Plan for a bit warmer temperatures traveling from Cochiti Pueblo in August, with highs in Page at 93°F and lows at 69°F. Wrap up your sightseeing by early afternoon on the 28th (Wed) to allow enough time to drive to Mesa Verde National Park. Your day-by-day itinerary now includes Cliff Palace as well as Spruce Tree House. To find photos, ratings, reviews, and tourist information, read Mesa Verde National Park itinerary planner. You can drive from Page to Mesa Verde National Park in 5 hours. Alternatively, you can do a combination of flight and taxi; or do a combination of flight and shuttle. Traveling from Page in August, expect Mesa Verde National Park to be slightly colder, temps between 86°F and 53°F. On the 29th (Thu), wrap the sightseeing up by early afternoon so you can travel to Colorado Springs. Garden of the Gods has been added to your itinerary. To see traveler tips, more things to do, reviews, and more tourist information, read Colorado Springs trip itinerary planning tool . Do a combination of taxi and flight from Mesa Verde National Park to Colorado Springs in 5 hours. Alternatively, you can do a combination of taxi, flight, and shuttle; or drive. Expect a daytime high around 83°F in August, and nighttime lows around 56°F. You will have some time to spend on the 30th (Fri) before leaving for Cheyenne. Cheyenne is the capital and most populous city of the US state of Wyoming and the county seat of Laramie County. To find maps, photos, traveler tips, and tourist information, read our Cheyenne trip itinerary builder website . Traveling by car from Colorado Springs to Cheyenne takes 3 hours. Alternatively, you can do a combination of flight and shuttle; or take a bus. In August, daytime highs in Cheyenne are 82°F, while nighttime lows are 54°F. Finish your sightseeing early on the 31st (Sat) to allow enough time to travel to Kansas City. For more things to do, maps, reviews, and other tourist information, use the Kansas City vacation builder app . Getting from Cheyenne to Kansas City by combination of shuttle and flight takes about 6.5 hours. Other options: fly; or drive. Traveling from Cheyenne to Kansas City, you'll lose 1 hour due to the time zone difference. Expect somewhat warmer evenings in Kansas City when traveling from Cheyenne in August, with lows around 70°F. On the 1st (Sun), you're off toLouisville. To find other places to visit and tourist information, go to the Louisville attractions planner . Traveling by flight from Kansas City to Louisville takes 7 hours. Alternatively, you can do a combination of flight and bus; or drive. The time zone difference when traveling from Kansas City to Louisville is 1 hour. In September, daytime highs in Louisville are 82°F, while nighttime lows are 61°F. You will leave for home on the 2nd (Mon).